Tuesday on First Coast Connect ahead of an expected congressional showdown this month on the Deferred Action for Childhood Arrivals program or DACA, we spoke with immigration attorney Giselle Carson, Director of the Refugee Immigration Project at Jacksonville Legal Aid Mariana Munoz and former DACA student “Maria” (01:07). The latest segment of Moveable Feast featured the Colonial Quarter and Pirate Museum of St. Augustine (33:16). Cole Pepper talked about the Jaguars upcoming home playoff game Sunday against the Buffalo Bills and next week’s college football national championship game between Alabama and Georgia (46:00). As the New Year begins, Congress is gearing up to tackle more controversial legislation. One item high on the list for both parties is how to deal with comprehensive immigration reform. But of course the two sides differ on how to do that. 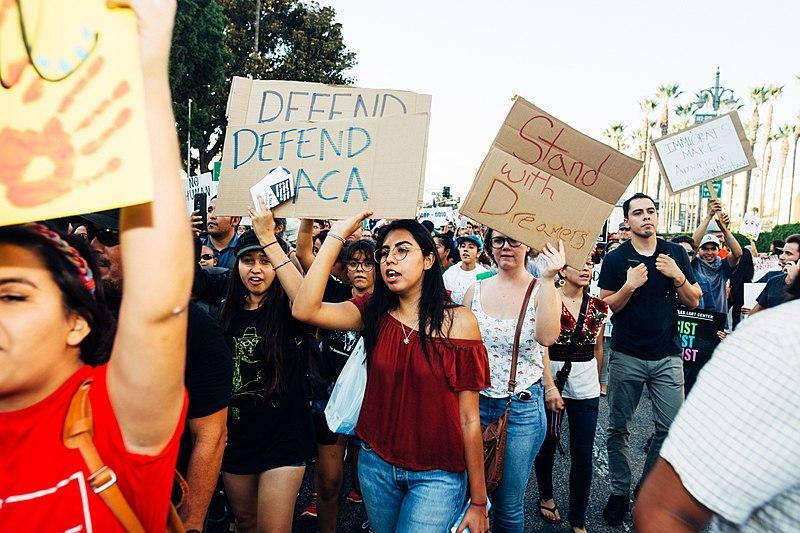 Democrats have made legislation for the Deferred Action for Childhood Arrivals (DACA) program a priority for 2018. Adults who came here with their parents illegally as children are known as dreamers and have been protected from deportation. President Donald Trump indicated in a December 29 tweet there will be no legal status for residents who came to this country as children unless he gets his long-promised border wall. In the Nation’s Oldest City, there are two famous living history destinations you might want to check out. In Tuesday’s Moveable Feast, our regular look at dining and hospitality trends around town, Leigh Cort of the Women’s Food Alliance talks with Cindy Stavely of the Colonial Quarter and Pirate Museum in St. Augustine. While the Jaguars lost their last two games of the season there is optimism that they can pull off a win Sunday against Buffalo in what will be a full stadium at EverBank Field. The college football championship game will be played Monday in Atlanta. SEC rivals Alabama and Georgia, who did not face each other during the regular season, will be going head-to-head. There is some controversy since UCF finished the season unbeaten after defeating Auburn Monday 34-27 in the Peach Bowl.